This week, as promised, Existential Ennui will be devoted exclusively to a British author whose clever, thoughtful, thrilling espionage novels have proved something of a revelation for me this year. Anthony Price – full name Alan Anthony Price – wrote twenty books from 1970 to 1990. Nineteen of those were spy novels (the twentieth, The Eyes of the Fleet: A Popular History of Frigates and Frigate Captains, a non-fiction title published in 1990, was his final work – at least, to date; Price is still with us), which, together, form one of the best espionage series ever penned by a single author, a brilliantly sustained, wonderfully interconnected, richly historical fictional – yet entirely plausible – universe starring operatives of a branch of Britain's Intelligence Services (later identified as the Research and Development Section). Though written in the third person, each story is told from the perspective of one of a rotating cast of intelligence types. 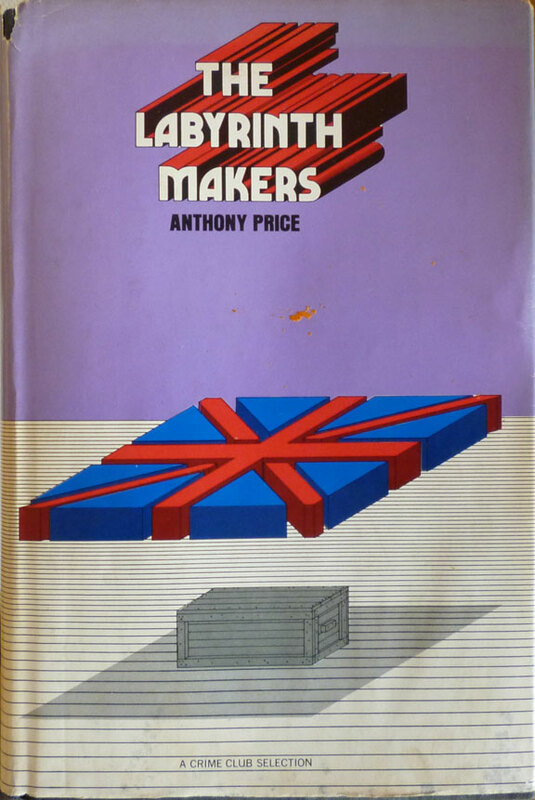 The series begins with 1970's The Labyrinth Makers and Dr. David Audley, a socially awkward, prematurely middle-aged Middle East expert with a fascination for archaeology and history – subjects that remain abiding concerns throughout the subsequent eighteen novels. 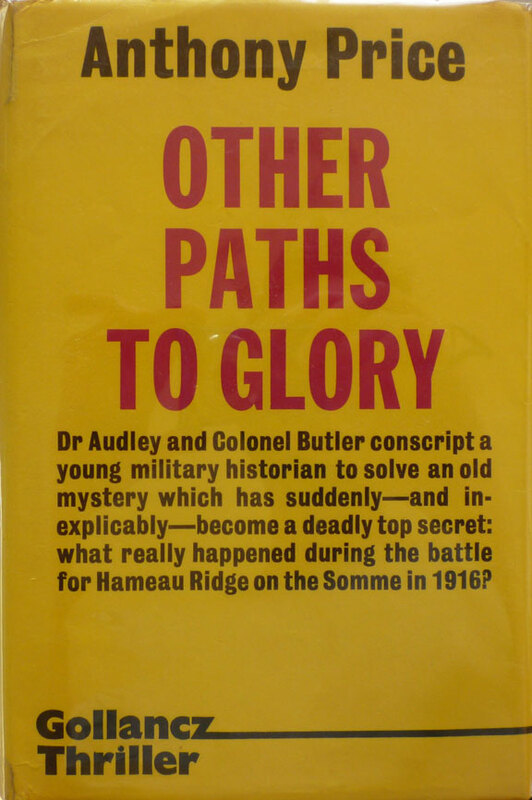 We also meet Audley's fellow operatives, sensitive, dedicated Squadron Leader Hugh Roskill and hard-headed, carrot-topped military man Major – soon to become Colonel – Jack Butler, each of whom will take their turn in the limelight in later books. The plot that draws these three together concerns a Dakota plane which went missing shortly after the end of World War II – presumed lost at sea but now rediscovered at the bottom of a recently drained lake – and why the Russians are inordinately interested in this aircraft. What follows is a suitably labyrinthine guessing game, but what's exceptional about this and others of Price's novels is the way he both unfurls the plot through his characters' thoughts – or, perhaps more accurately, their words – and simultaneously colours in his cast with those same thought processes. 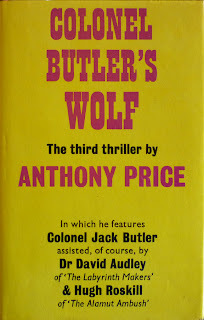 Price builds his characters not so much through description of their physical appearance – although one can't help but see Price himself in the figure of Audley – nor through their deeds, but through their conversations. Time and again he presents us with long stretches of dialogue, as Audley, Roskill, Butler and others work through problems and intuit solutions, and as a consequence grant insight into their psyches. 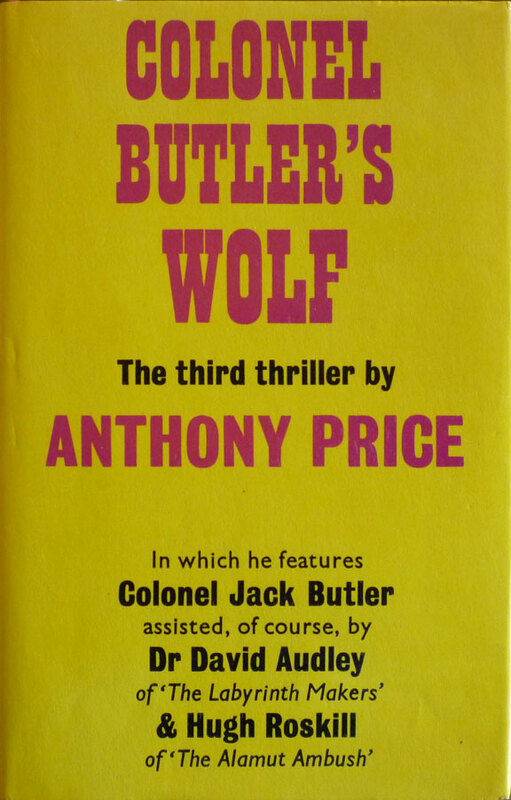 Price's closest contemporary is probably John le Carré, but Price was well into his series by the time Le Carré's masterwork, Tinker, Tailor, Soldier, Spy, arrived in 1974. And while there are similarities between the two writers in the way they have their characters examine evidence in order to arrive at conclusions, Price has little time for Le Carré's methodical digging through of old files; much of that sort of thing takes place off-page, leaving more room for the subsequent ruminations and discussions. The late H. R. F. Keating put it most appositely (and pithily) in a blurb reproduced on the back covers of some of the later editions of Price's books: "If think's your thing, here's richness in plot, dialogue, implications." A Crime Writers' Association Silver and Gold Dagger Award winner, Price is rather overlooked these days, which is remarkable when you consider how terrific his stories are. There's scant information about him online; he has a Wikipedia entry – although the dates in the bibliography are inaccurate, possibly because they take the American publication dates rather than the original British ones; see below for a more accurate bibliography – and there are one or two good articles on the themes and chronology of his spy series (which ranges from 1944 to 1988); this one by Jo Walton and this one by David Dyer-Bennet (with its attendant booknotes) are the best of the bunch. But the odd individual review aside, that's about it. So, I'll be attempting to redress that balance here on Existential Ennui. 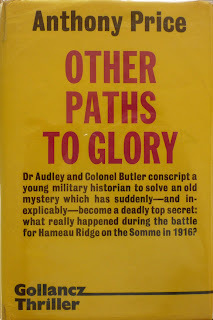 For the rest of the week I'll be reviewing each of Price's first three novels – The Labyrinth Makers, The Alamut Ambush (which I particularly loved, for reasons I'll elucidate down the line) and Colonel Butler's Wolf – as well as providing a guide to the pleasures and pitfalls of collecting the many editions of his books. And I'll have much more on Mr. Price in the future, don't you worry. "I enjoyed reading spy stories more than murder stories. Nothing I could imagine would be more outrageous than what actually happens. Ours is the second Great Age of Treason (the first was in the late 16th century) ... I think I once wrote 'the past lies in wait to ambush the present', and that I suppose is my favourite theme: the excavation of an event in the fairly recent past to establish the truth about a present mystery or problem, the action often being set against some more distant historical event." Unless otherwise stated all titles published by Victor Gollancz, UK. 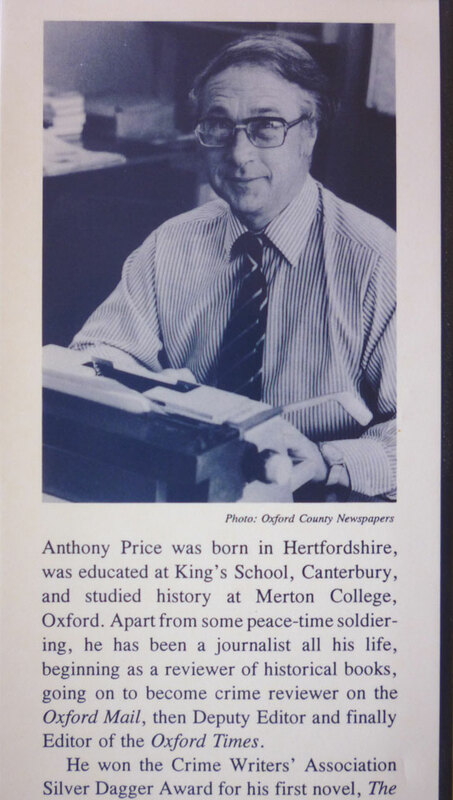 If Anthony Price is new to you then you're in for a treat: he was an elegant wriiter and a clever author in several senses of the word but never for cleverness' sake. It's a while since I read him - time to revisit. I look forward to the Price blogs. Thanks, Paul! He is new to me – or at least, he was. Three books in I guess he's not quite so new, but the novelty's in no danger of wearing off. Terrific stuff. Came across A New Kind Of War in a car boot last Sunday (in Spain €.75!!!). Had forgotten all about Price having read a lot of him in the 90s. A timely find, because it's a very young David Audley and Clinton. Oh what a tangled web we weave When first we practise to deceive. Good stuff, going to have to collect and re-read 'em all now. Well I hope my various posts on Price prove helpful as you make your way through his backlist again, Picacho! I've adored the nineteen David Audley stories for many years now. As I work offshore a lot, I'm currently re-reading the whole lot of 'em, in 'Audley time' order (rather than publication order). They really are a great collection, and I agree that they seem to have dipped under the radar of the online spy novel fraternity, which is a great shame. I'm therefore delighted to see this corner of cyberspace paying tribute, and I just wanted to add my thanks to AP here. All the best from the Timor Sea! Thanks, Jim! I'll be returning to Anthony Price on Existential Ennui at some point this year, and I'll be writing to him as well, so I'll be sure to pass on your thanks when I do. I take it you've followed the links to the interview? 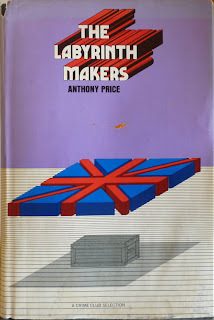 I have been dipping into your posts on Anthony Price and his books, and I just wanted to thank you for giving him a home on the Internet. I have been a fan of Price since I first found Our Man in Camelot in Murder by the Book, the mystery bookstore in Houston, Texas, back in 1982. It was an English edition, since it was not in print in the US at the time. There are fans of his over here. I have mentioned looking for his books to proprietors of used bookstores and have had them shake their heads and say that they wish his books were easier to come by. You are doing a real service to the world by posting about him. Well thank you, sir, for this comment and for the ones on the posts on October Men and Our Man in Camelot. And I hope you found the Anthony Price interview!